Capture the Lush Green of Summer all year round. Who can explain the ancient mysterious attraction to crystal balls. Perfect for scrying by allowing the intuitive subconscious to communicate its marvelous revelations. 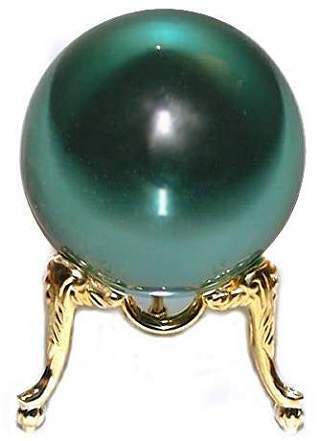 60mm Crystal ball seen with Queen Ann Gold Plated Stand sold separately, just $5.95. For 110mm or larger crystal balls we recommend the King George 3" Stand on sale separately, now $15.95.